Staurikosaurus is one the earliest known dinosaurs. It was a carnivore (meat-eater) that lived in the Triassic period about 225 million years ago. Its fossils have been found in Brazil. 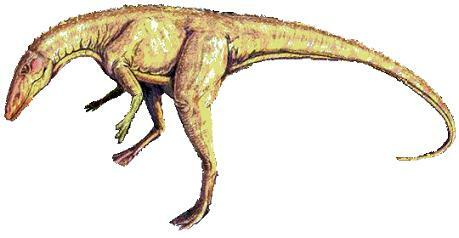 Staurikosaurus was about 6½ feet (2 meters) in length, stood about 2½ feet (80 centimeters) tall at the hips. It weighed about 66 pounds (30 kilograms). South American Dinosaurs - Staurikosaurus lived in South America. Staurikosaurus was a genus of dinosaur. "Staurikosaurus" means "lizard of the Southern Cross"
Staurikosaurus was a member of the Saurischia ("lizard-hipped") order of dinosaurs. What this means, is that although Staurikosaurus was not closely related to lizards, it did have similarly shaped pelvic bones. Staurikosaurus was a Theropod - a member of a group of related bipedal dinosaurs that included the ancestors of birds (although Staurikosaurus was not itself an ancestor of birds). Staurikosaurus lived about 225 million years ago, during the Triassic period. Staurikosaurus lived in South America. Staurikosaurus was a carnivore (meat-eater). Staurikosaurus was about 10 to 20 feet (3 to 6 meters) long, and about 3½ feet (1 meter) tall at the hips. Staurikosaurus weighed about 460 to 770 pounds (210 to 350 kilograms). COOL DINOSAUR PARTY SUPPLIES: 24pcs dinosaur cupcake toppers + 24pcs paper dinosaur cupcake wrappers. All printed with Kids boys and girls loved cool dinosaur designs including Alectrosaurus,Tyrannosaurus,Euoplocephalus, Brachiosaurus,Triceratops,Allosaurus,Ceratops,Plesiosaurus,Staurikosaurus, Parasaurolophus, Stegosaurus. Use them as cupcake and cake decoration to create a Big hit at children's birthday! PERFECT SIZE: Each dinosaur cupcake topper measures 3.4 inches to 4.6 inches tall + 1.9 to 4.5 inches wide making it suitable for small - large size cupcakes! Bottom wrapper is 1.77 inches small enough that you can pick up the cupcakes without them falling through the bottom. Big hit at children's parties with these attractive beautiful dinosaur cupcake toppers and wrappers for kids. 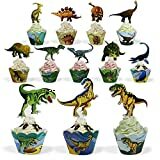 ✔24 dinosaur cupcake toppers ( 12 different dinosaurs , 2 PCS of each ). ✔All Toppers + wrappers are made out of high-quality card stock. 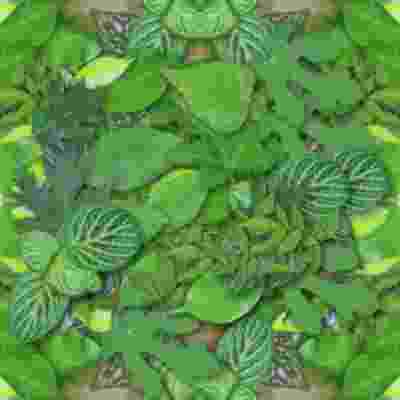 ✔All BeeGreen dinosaur cupcake toppers and wrappers are FDA Approved. Our dinosaur cupcake set is ready - we can't wait to see what memories you create! Have fun! 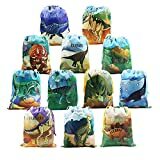 "KIDS LOVED DINOSAUR BACKPACK: 6 pack cute dino drawstring bags per set including Alectrosaurus, Tyrannosaurus, Euoplocephalus,Ceratops, Staurikosaurus, Parasaurolophus. Perfect ideas as gifts for children & toddlers dinosaur themed birthday parties. Pair them with a variety of dinosaur figures, eggs, masks, tattoos, stampers, candies for birthday party's, use as wall decorations and other decor to create a Big hit at children's birthday!" STURDY & LIGHTWEIGHT: BeeGreen dino party favors bags are made of 100% polyester fabric. It is a Lightweight fabric that is also very sturdy and withstands daily wear and tear. Super party favor bags to give away for children's parties! Big hit at children's parties with these attractive beautiful dinosaur drawstring party bags for kids. 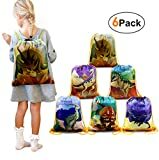 ✔Each set including 6 different dino designs and 1 bags for each design. 6PCS per set. Each bag has cute kids love digital printing on 1 side and never fade away even after washing. ✔Draw string closure makes you store things quickly and take them in and out easily. You can untie and re-tie strings to adjust cord to where you want it so you can have it as low or high as you would like..
✔Made of high quality polyester fabric-super light, super sturdy.